Make A Ladybug Path And Step On It! Sometimes you just need a little help making your way through your lawn or garden. This delightful stepping stone is made of resin and calcium carbonate. It is hand sculpted and hand painted. It is made for outdoor use, but can also be used indoors as a wall plaque. Don't forget that ladybugs bring luck with them. Personally I have just the spot for three of them to lead from the sidewalk into the center of my garden. It would look so cool! 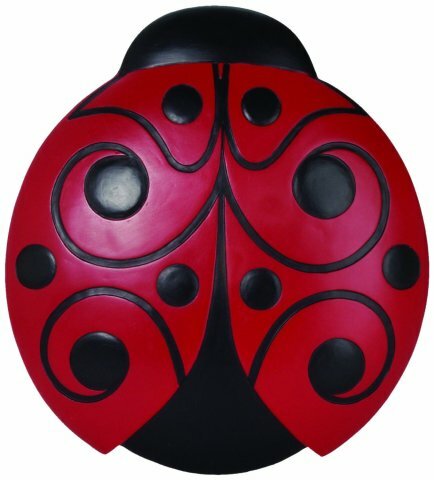 To order your own Ladybug Stepping Stone, or as the perfect gift for a gardener, click here.